The GE-200 product originated in the early days of the Computer Department in Phoenix AZ. In fact, the GE-200 name has been also used for banking products derived from the first GE computer, the ERMA project, General Electric marketed in the early 60s the GE200 Bank Transit system around a document (check) sorting system. Three variations of the same central processor constitutes that product line sold between 1959 and 1966. The GE-225 was derived from the GE-312 and 412 Process control computers, then part of the Computer Department products. It was designed by Arnold Spielberg and Chuck Prosper, ex-RCA engineers who have been working on BIZMAC. It was introduced in 1960. 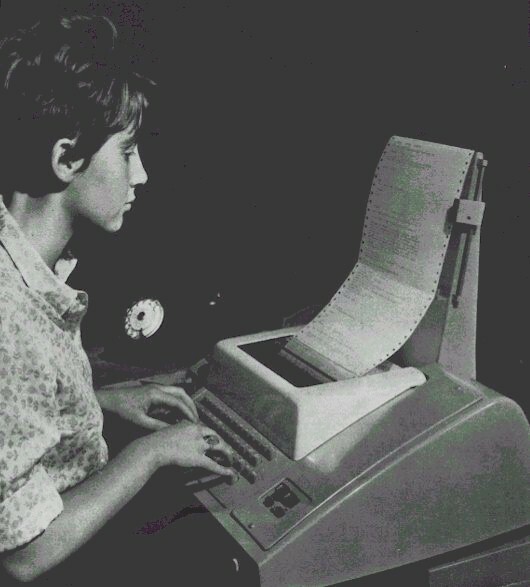 The GE-225 was a 20-bits word binary machine with 3 hardware registers. It was not specially designed for business applications. Technology was solid-state (diodes and transistors). A 8K words system contained 1,000 circuit boards, 10,000 transistors, 20,000 diodes and 186,000 magnetic cores. The power dissipation was 16 KVA. Main memory was offered in 4, 8 and 16K words.Its access time was 18 µs. Disks (MRADS Mass Random Access Data Storage) 98304 words per unit, thruput 62.5Kcps, up to 32 units. Up to 11 devices may operate simultaneously, through independent channels connected to the memory by an autonomous "controller selector". Unit record devices operated under processor control. One of the major initial customers was at Huntsville Arsenal, a NASA predecessor. The GE-215 was a scaled-down version of the GE-225. The number of channels was reduced to 6.The main core memory was limited to 4K and 8K words. The GE-235 was a re-implementation (three times faster) of the GE-225 with a faster memory (cycle 5 µs) designed in 1962 and delivered in 1964. Addition was performed in 12 µs. Multiplication in 84 µs and Division in 85 µs, thanks to a new high-speed arithmetic unit. The GE-265 that was the system running the first commercial time-sharing system is the association of a GE-235 processor and of a Datanet-30 communication processor. 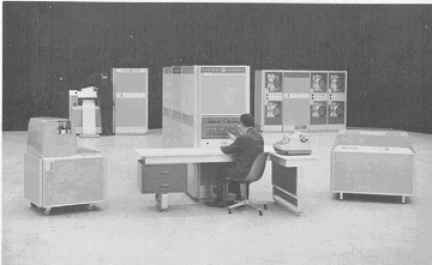 The software was designed at Dartmouth College as DTSS in 1963-1964. While BASIC was the main programming language created for that system, it was also used in ALGOL and Fortran. A peculiarity of the DTSS was that the main part of the operating system was resident inside the DN-30 front-end processor and that only the user programs and their environment (e.g.the BASIC interpreter) were executed by the GE-235. The two processors were interconnected through a direct interface and were sharing a disc unit DS-20. The GE-265 operating system was renamed Mark I and was later (1968) ported on GE-635 as Mark II and Mark III, by General Electric Information Services Division (GEISD) that was not transferred to Honeywell in 1970 and remained in General Electric. Note: The ERMA machine developed for the Bank of America and jointly by General Electric and NCR (as NCR 304) has got also the name of GE-210 when sold to other banks than BoA, and GE-304B when used internally at General Electric . It is not part of "Compatibles GE-200."